I am happy to announce that my painting Everything’s Coming Up Roses was recently featured as the title image in an essay on the Huffington Post blog. The essay, “Death Becomes Us: Why We All Need to See Death and Decay” was written by Carla Valentine, Curator of Barts Pathology Museum in London. 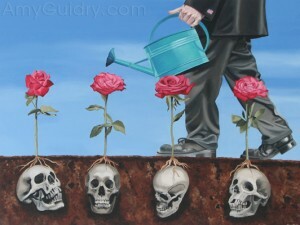 Read the article online here: http://www.huffingtonpost.co.uk/carla-valentine/see-death-and-decay_b_6894542.html. 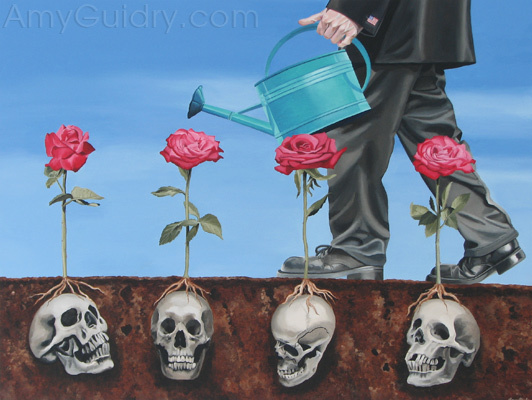 Also of note, prints are now available of Everything’s Coming Up Roses. Limited edition of 50 giclée prints, signed and numbered on 100% cotton rag, Acid-free, archival, 230 gsm paper, 14″ wide by 11″ high, $50 each- https://amyguidry.com/everythings-roses.html.